Attorney Peter L. Cedeño's unfailing dedication to clients and unparalleled work ethic have led to outstanding results for families in difficult situations. Mr. Cedeño's history of excellence has been recognized by the people he has helped, as well as by trusted legal organizations. Along with being selected annually to the New York Metro Super Lawyers list since 2016, he has a perfect Avvo rating of 10.0 Superb due to his service, experience, and strong ethics. Mr. Cedeño started out as an Assistant District Attorney in the Kings County District Attorney's Office, where he gained valuable experience as a prosecutor. There, he handled a wide range of cases involving everything from minor criminal violations to felonies. Just a few years later, he began his practice as a divorce and family lawyer. For the more than 25 years, Mr. Cedeño's private practice has centered on matrimonial and family law matters, where he is trusted by clients and peers alike. Handling everything from high net-worth divorces to amicable, uncontested separations. 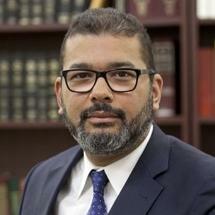 Mr. Cedeño has successfully represented New Yorkers who have faced a wide array of criminal charges. Mr. Cedeño's unwavering commitment to clients has led to many favorable resolutions. He has even been asked by the New York State Bar Association to provide lectures on divorce and family law issues. If you need counsel or representation for a divorce action or family law matter, you can rely on him.